Hi there, my darlings! 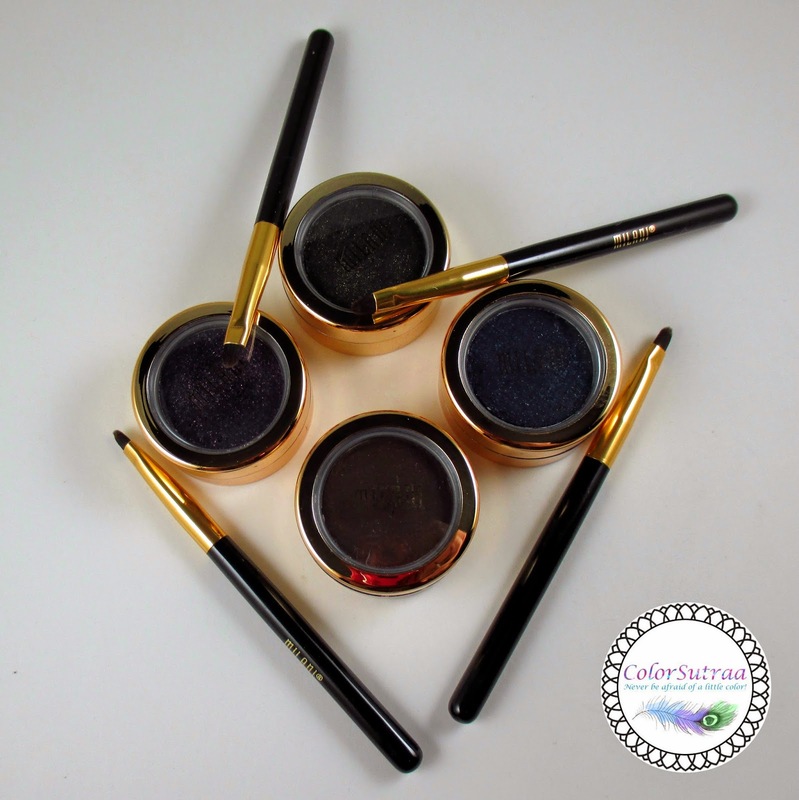 It's a snowy, snowy day in New York City so to distract myself from what is going to be a miserable commute home, I'd like to share with you some new products that I'm totally tripping over--Milani Cosmetics' Fierce Foil Eyeliners! NEW! Fierce Foil Eyeliner : Rocking, Runway-Inspired Metallics...Get Ready to GLIMMER. SHIMMER. SHINE. From the runways in Milan straight to your makeup bag, this next-level eyeliner enhances and defines eyes with a rich, intense, metallic finish. The innovative blackout base elevates the luminosity, creating a shiny, shimmering special effect that brightens eyes. 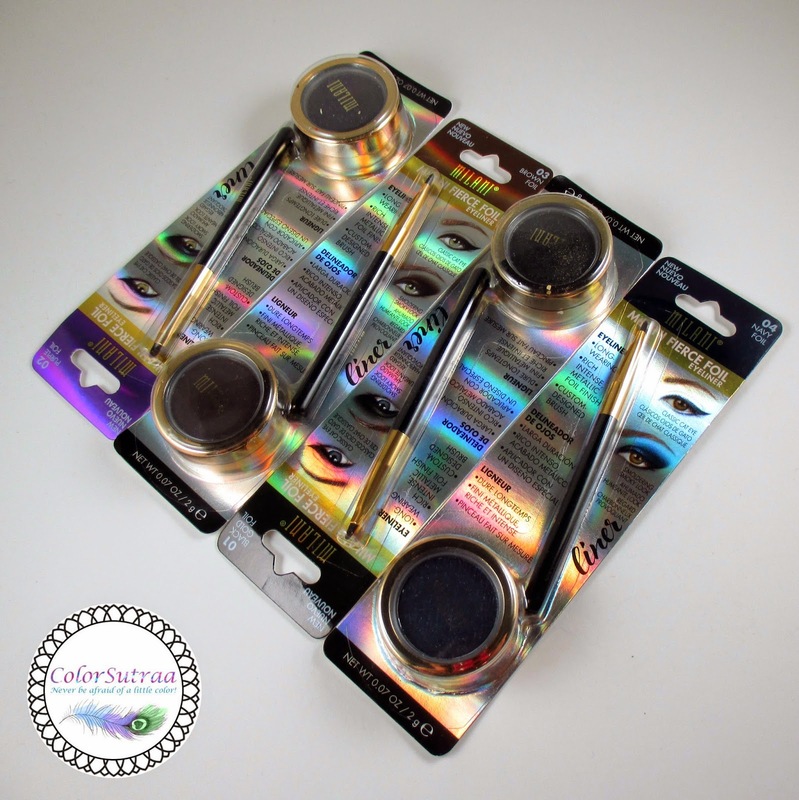 Blackened jewel tones with a metal-like foil finish, these can be used for lining or a full-on lid look. Available in four long-wearing shades - Black Gold Foil, Brown Foil, Purple Foil and Navy Foil – with a professional brush applicator that deposits color exactly where you want it. Glow for it. Directions for Use: There are two great ways to play these blendable beauties: For a “classic cat” look, extend the color just past the lashline. 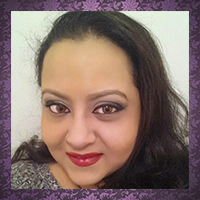 For a “smoldering smoky” vibe, gently blend upward from the lashline to the crease. IMPRESSIONS : Ok seriously. let's pause for a second and wait for my mind to settle down for being...COMPLETELY BLOWN. Without a shadow of a doubt, I want to praise these liners to the moon and back--incredible color pay-off, super easily blendable and just SO pretty! 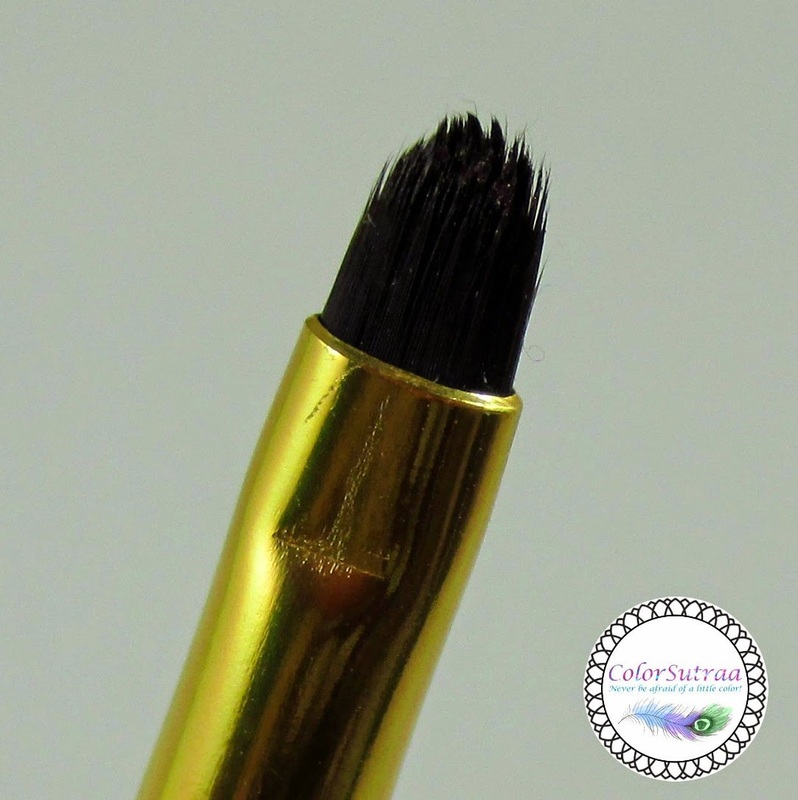 You could go all out and cover your entire lid for a night out on the town or just follow along your lashlines to get a defined yet alluring look with a hint of metallic sparkle--the included brush gives a great deal of precision! Honestly, SO in love! I can't even pick a fave--I love them ALL! So there you have it, my darlings! 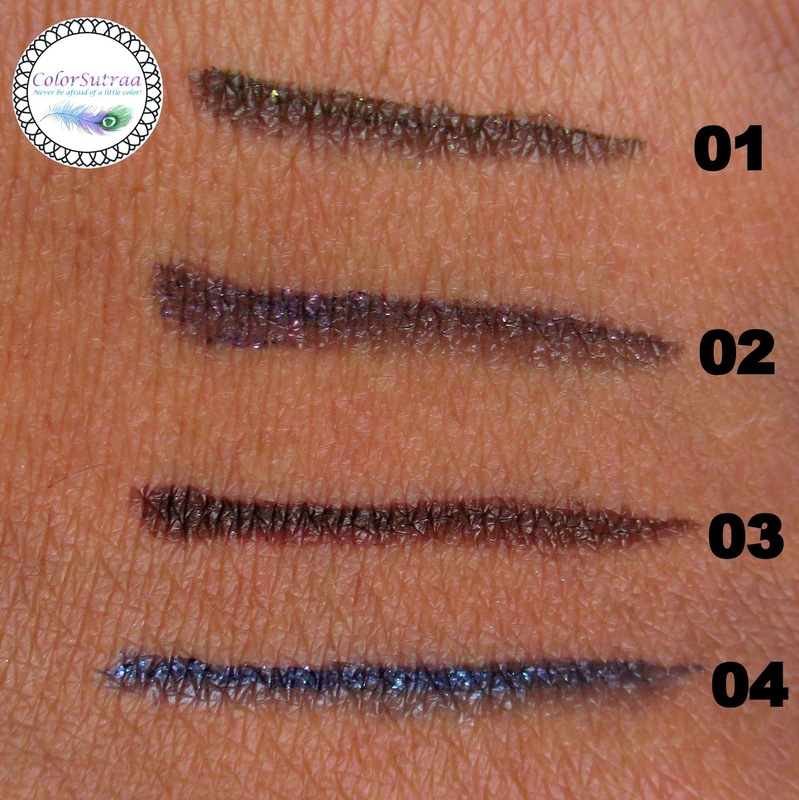 Milani's NEW Fierce Foil Eyeliners! You can pick up your favorite on Milani Cosmetics' online site HERE for just $6.99 each! You can also find them at select drugstore/retailers such as CVS, Walgreens and Duane Reade--these won't be around long so grab them your favorites if you see them! Please remember to follow Milani Cosmetics on FACEBOOK and INSTAGRAM for all the latest news and updates!